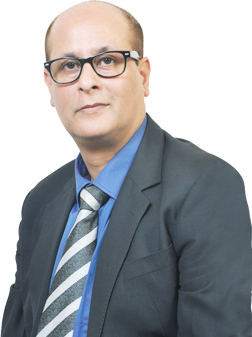 Shravan Ganjoo, with more than 18 years of experience, is at ease in excelling at any multifaceted role which involves sales, partner relations and solution interfacing including liaising with delivery teams. He believes that digitalization of customer centric business processes is the need of the hour for large enterprises to develop competitive advantage. In his current role at Intense Technologies he is focused on expanding the ASEAN market with his team and also create a strong global partner organization for developing a strong revenue stream, footprint and visibility. He works closely with system integrators, partners and customers across geographies to enhance the combined value proposition of solutions.